New TLMDModule.OnGetLoadingCompRef event added to allow to dynamically load modules in the presence of inter module component links. The Vcl allows to do this only starting from Delphi 2005, so this event is not available in Delphi 7. Unicode support for NT-based systems! Support for Frames and Frame children - including saving/loading roots with frame-copies and inherited from base-frame event handlers. Most notable feature is capability to load forms with frames at run-time without creation of dummy frame instances. Alignment lines support for design areas - helpful feature to align controls when they are moved or sized (even possible when controls are inserted). The Designer control supports now saving/restoring of Lock state. 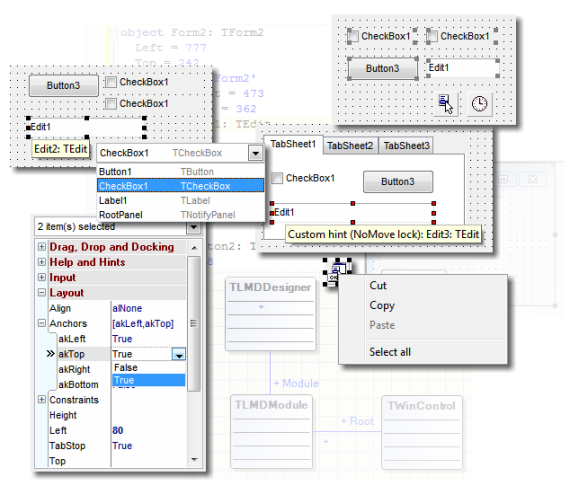 The designer supports grouping of controls. to handle compound controls as single object (which can be moved/resized/deleted). The TLMDServiceProvider component represent services architecture for simplifying development of extensible applications. And other minor new helpful additions like predefined form for representing the structure of a design module or integration code for LMD IDE-Tools support. E.g. designer, property inspector and component tree components now have the ability to display useful default popup menus. Also they can just link popup menu components by adding default items automatically. 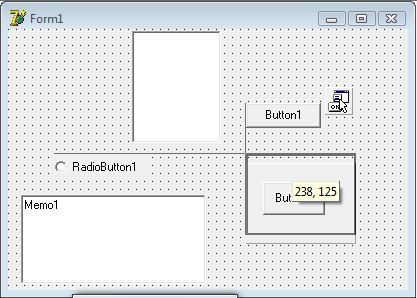 This feature is used to fill popup menu with Delphi like component editor verbs in designer and component tree. Combined helpfile for all IDE-Tools packages (IDE Integration package, Designpack, ScriptPack and SyntaxEdit). 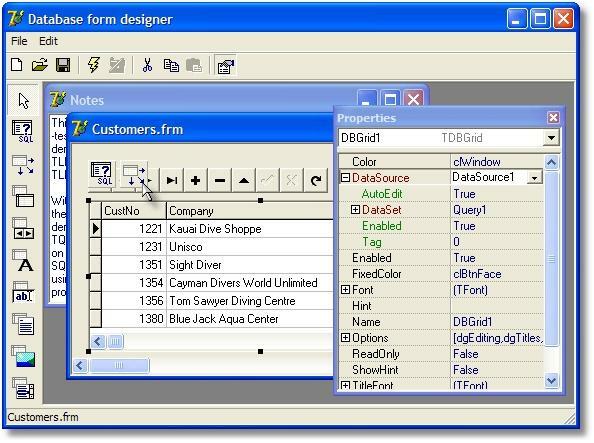 See below a screenshot of the Database FormDesigner, which allows designing of forms with a specific set of database controls. 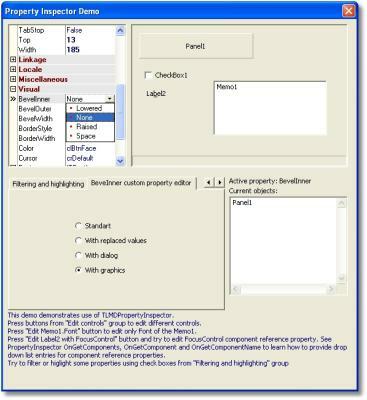 In Property Inspector demo various advanced features like different styles, property categories, custom property editors, filtering etc. are demonstrated.